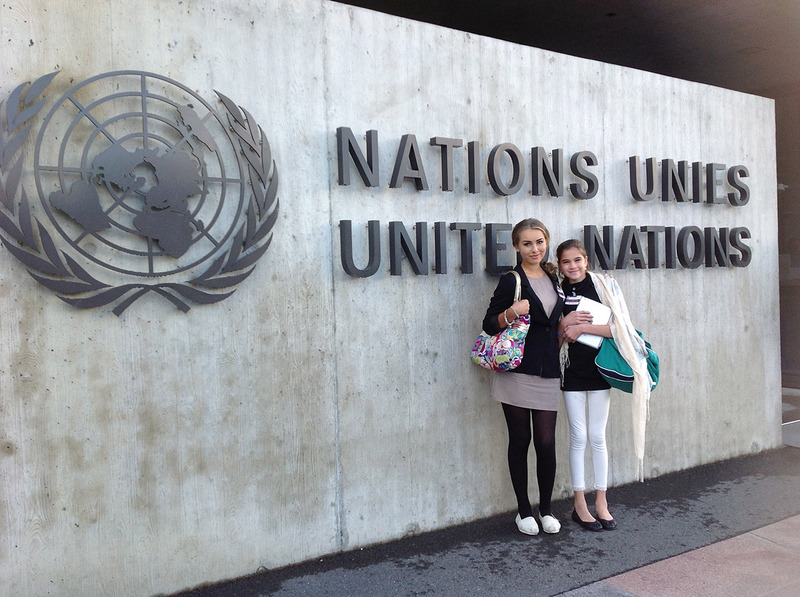 YHS Student Zoe, 15 with Rekha, 13, at the United Nations in Geneva. One of our very own Yorkies is making waves on the global and local stage. Last summer, Zoe C., Grade 10, received the opportunity of a lifetime: a joint two-week internship with the David Suzuki Foundation and Justice for Girls, a non-profit social justice organization. The end goal of the internship was to co-author a submission to the UN Convention on the Rights of the Child (CRC), along with another intern, Rekha Dhillon-Richardson, 13. As Justice for Girls’ Canadian delegate, Zoe highlighted the disproportionate impact that climate change has on children, particularly girls from poor and indigenous communities, and Canada’s failure to protect children under the UN CRC. She also wrote on the lack of youth representation in government and the injustice this presents. The girls were invited to Geneva to present their submissions in person to UN committee members while Canada was under review by the CRC on September 26 and 27, 2012. 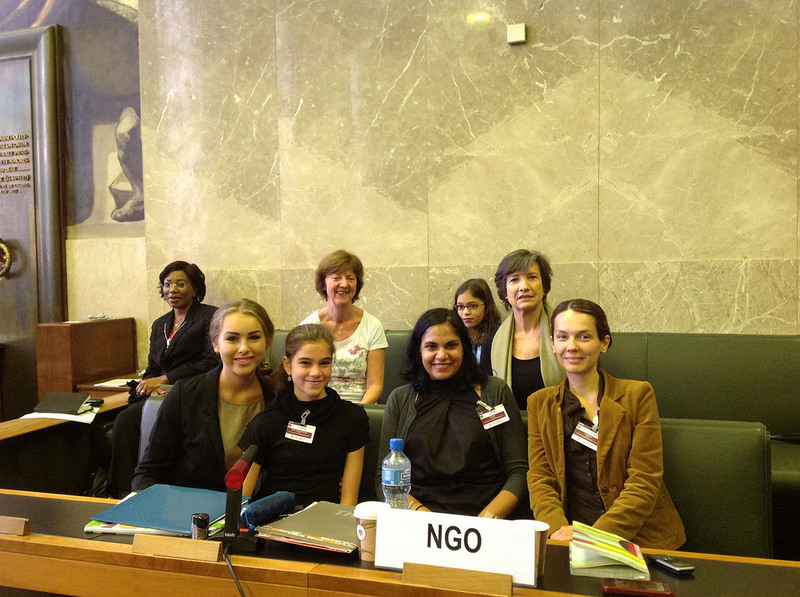 “Two hours after landing in Geneva, we went straight to the UN,” Zoe recalls. As they were the only children at the review, Zoe and Rekha received quite a bit of attention. “As we became hotter news, committee members were soon asking to meet with us,” says Zoe. Whatever they said to the committee members worked. During Canada’s review, members from Norway and Chile picked up the girls’ message, quoting directly from the girls’ UN submissions. A week later, the UN set forth their concluding observations and recommendations. Protecting the environment locally, national and internationally was mentioned and there were also recommendations on gender and girls in the justice system. Zoe isn’t stopping there. She plans to continue her involvement with Justice for Girls, with whom she’s been volunteering since Grade 7: “The next step is to apply international and domestic pressure in order to start seeing some changes,” she says. She’ll be doing just that as a scheduled speaker at the upcoming Enbridge Northern Gateway Pipeline Project public hearings. What she learned made her want to take action. During her internship, she wrote an impassioned plea to Canada in a blog post for the David Suzuki Foundation on the Rio+20 United Nations Conference on Sustainable Development. In addition to public speaking engagements, co-hosting a TV show, and being an advocate for youth and the environment, Zoe is also a member of York House’s Globe Leaders group, Arts & Variety Club and is co-founder of the Glee Club. She also has plans to join the yoga club! Catch Zoe this Spring on the APTV’s “U=US”. Good job Zoe. Proud of you! Previous PostPrevious Upcoming Local & Global Opportunities: Get Involved!